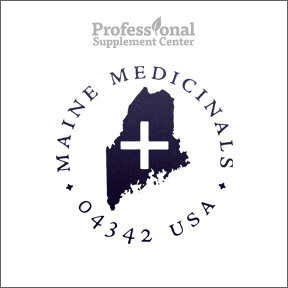 Featured Brand – Maine Medicinals, Inc.
Posted on July 29, 2016 | Comments Off on Featured Brand – Maine Medicinals, Inc.
Professional Supplement Center now carries Maine Medicinals™, a line of certified organic, standardized nutraceuticals. As both the processor and manufacturer, Maine Medicinals™ has a mission to optimize health by combining ancient herbal traditions with current phytomedicinal research. Maine Medicinals™ maintains their own certified organic farm and utilizes a combination of traditional herbal practice and innovative processing technologies to deliver full-spectrum, high quality herbal formulas. All products are manufactured in small batches and are tested for safety and efficacy by an independent laboratory. Anthoimmune™ Organic Elderberry Syrup – Traditionally used to support immune health, elderberries are recognized for their high antioxidant value. This proprietary formula provides comprehensive immune system support and delivers powerful antioxidants, including anthocyanins and polyphenols, plus flavonoids, such as quercetin. Flavonoids are recognized for their ability to protect cells and promote a healthy inflammation response. This formula is made with both berries and flowers, which are harvested at their peak and immediately processed to preserve the valuable phytonutrients. High ORAC value Anthoimmune™ has a glycemic load of less than one, meaning it will not cause a spike in blood sugar levels. 100% organic, certified kosher formula. Cleanse + Fortify™ Organic Botanical Tonic – This phytotherapeutic, botanical, restorative tonic supports the body’s natural ability to eliminate toxins and aids in promoting overall health and vitality. This formula contains traditional cleansing botanicals to support healthy liver and kidney detoxification functions, traditional adaptogens to support overall health and promote balance, and traditional herbs to promote healthy cell structure, support a healthy immune response and promote overall health and vitality. Along with a healthy lifestyle, this proprietary, pH balanced formula is suggested as part of a healthy maintenance regime. This entry was posted in Home and tagged Anthoimmune™ Organic Elderberry Syrup, Cleanse + Fortify™ Organic Botanical Tonic, Maine Medicinals, Professional Supplement Center, Vitamins and supplements, www.professionalsupplementcenter.com. Bookmark the permalink.